Recently our collection received a Koto Tachi blade in guilded brass and gold Koshirae, with a copper Tsuba with a guilded edge. 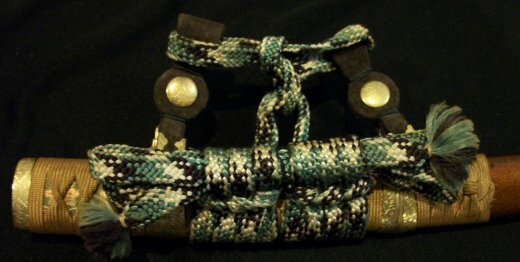 Although the mounts were in relatively good condition, the Ito needed to be replaced, as well as the leather hangers from the Ashi. 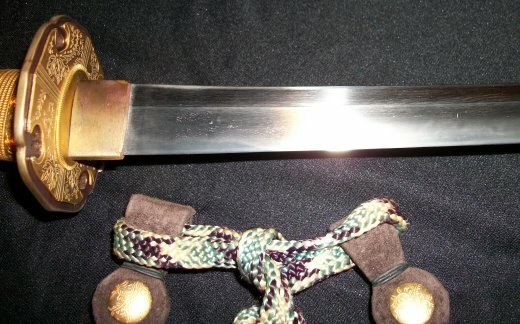 As for the blade, it's a 26.5" long, mumei Koto blade (early to mid-1500's) with what seems to be a combination of Gunome-midare ha and Hako- midare ha, and with subtle Fumbari to the shape. 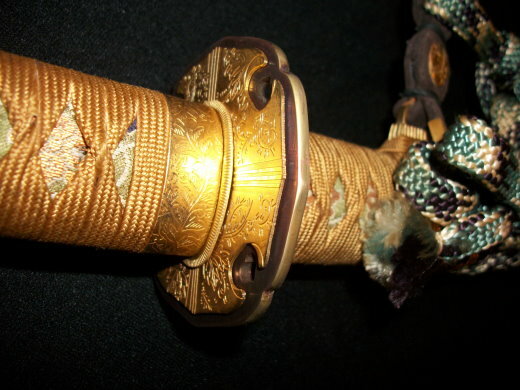 Here is a close-up of the Tsuka, notice the Mon Menuki and embroidered silk under the ito. I should mention that I had to have the silk plates "cleaned" and stablized because of dirt and decay. 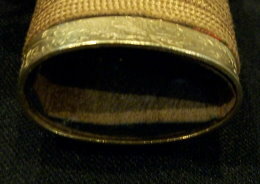 Above: notice the two gold Dai seppa & two gold Ko-seppa, as well as the copper Aoi tsuba with the guilded edge. 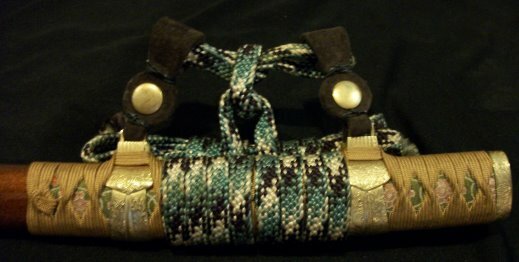 Below: the floral pattern on the saya is slightly damaged, but is about 90% complete. 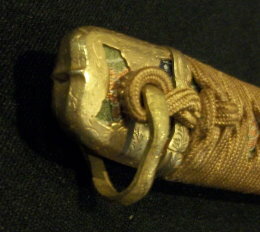 Below: a couple of pics of the kashira and saya mouth. Here are some pics of disassembled blade. And finally, here are a few shots of the blade itself. .. Anyway, thought I would share... Let me know what you think.